Mikaela was ranked 522 in 2015 list of US girls name and dropped by 3.57% from its previous ranking of 504 in 2014. Mikaela is a rare first name for a girl in England & Wales which is a rare name since 1997 and ranked 1367 in 2014. Only 366 people have Mikaela as their first name. Mikaela is a very consistent name over the past 18 years. Mikaela is a very very popular first name for a girl in United States which is popular since 1993 and ranked 522 (0.012140% bearer) in 2015 in US. Around 16997 people wear Mikaela as their first name. 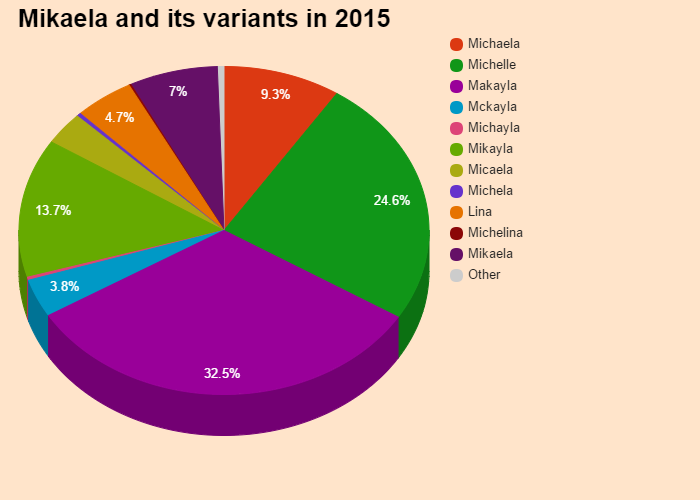 Mikaela is a rare first name for a girl in United States which is a rare name since 1966 and ranked 522 (0.012140% bearer) in 2015 in US. Only 16997 people have Mikaela as their first name. Mikaela is not a native United States and Mikaela may be came from another language or is a short form of some other name. 0.004755% of people in US have this given name. Expression number of Mikaela is 7. Mikaela likes to research and reason to know the answers of hidden questions as Mikaela are gifted with an analytical mind. Mikaela are always on the quest for knowledge and wisdom and loves being alone. The girl name first appeared in 1966 when 5 babies had Mikaela as their first name, the baby name went as low as 5 in 1971. 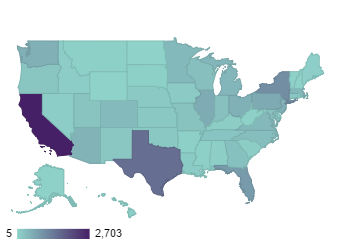 At peak in 1997, Mikaela was given to 1071 (0.057%) girls after continuous rising specifically in California where 143 babies were named Mikaela. Mikaela had a 51 years long run and an instance of disappearance. Get the meaning of Mikaela and celebrities who also shares the same name and some names related to Mikaela, english baby names list, list of names in english. Know what does Mikaela mean? This website serves as the extended english names list which will help in naming your child.